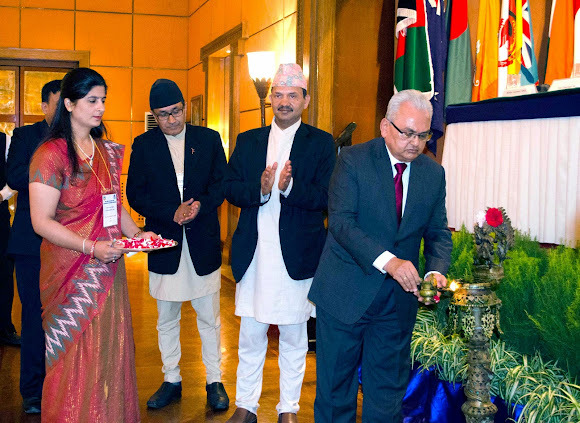 The 44th Colombo Plan Consultative Committee Meeting (CCM), the highest review and policy making body of the Colombo Plan, was hosted by the National Planning Commission (NPC) of Nepal from September 8 – 10, 2014 at the Soaltee Crowne Plaza Hotel, Kathmandu. Held every two years and hosted by member countries by turn, the 44th CCM was attended by 80 delegates from 24 member countries. Prior to the meeting proper, an informal pre-conference meeting was held on Sept. 8, 2014 attended by heads of delegations to discuss and confirm the draft agenda, select the chairperson and deputy chairperson, and other logistical matters. The inaugural session on Sept. 9, 2014 was graced and addressed by the Secretary General of the Colombo Plan Mr. Kinley Dorji, Joint Secretary of NPC Secretariat Nepal Mr. Lal Shanker Ghimire, Colombo Plan Council President and Ambassador of Indonesia to Sri Lanka H.E. Harimawan Suyitno, Vice Chairperson of NPC Honorable Prof. Dr. Govind Raj Pokharel, and Chief Guest, Nepal Foreign Affairs Minister Honorable Mr. Mahendra Bahadur Pandey. The CPSC Director General Dr. Mohammad Naim Yaakub presented the annual reports of the Governing Board of CPSC for two fiscal years (FY 2011-2012 and 2012-2013). Against the backdrop of CP countries’ strong regard and agenda relating to strengthening TVET, CPSC afforded various opportunities for technical capacity building and policy advisory in the field of TVET to assist Colombo Plan countries in improving TVET systems, teaching capacity and promoting TVET as an effective platform for developing the human resources in the region. For the two-year period, CPSC delivered record-breaking accomplishments by organizing a total of 76 programs which benefited 3,840 participants while maintaining high satisfaction rating of above 90% in all programs, embarked on three significant stages of Corporate Planning procedures and formulated the CorPlan 2013 – 2018, produced a journal on TVET titled Scholarly Technical Education Publication Series (STEPS), adjusted the benefits of CPSC professional and support staff, and maiden awarding of the Most Valuable Partner Award (MVP) to honor CPSC’s committed partners and supporters. The 44th CCM considered and adopted the CPSC Biennial Report with appreciation from the CPSC member countries of the Staff College’s achievements for the period. 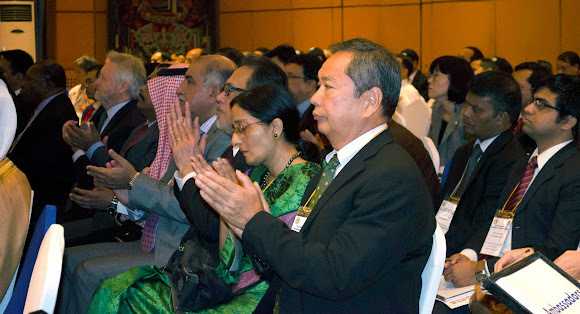 Same is true with the reported achievements of the Colombo Plan Secretariat’s programs such as the Drug Advisory Programme (DAP), International Centre for Certification & Education of Addiction Professionals (ICCE), Gender Affairs Programme (GAP), Programme for Public Administration & Environment (PPA/ENV. ), and Programme for Private Sector Development (PPSD). Regional group meetings of the member states were held on the last day, Sept. 10 to review the economic and social progress within the Colombo Plan region, exchange views on technical cooperation programmes with a view to achieving efficiency and effectiveness, and review activities of the Colombo Plan and CPSC among others. 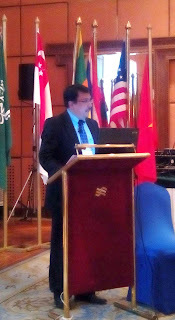 The 24 participating countries were grouped as follows: Group 1 (South Asia/South regional of South West Asia) Afghanistan, Bangladesh, Bhutan, India, Iran, Maldives, Nepal, Pakistan, and Sri Lanka; Group 2 (South East Asia) Brunei Darussalam, Indonesia, Malaysia, Myanmar, Philippines, Singapore, Thailand, and Vietnam; and Group 3 (Asia/Pacific) Australia, Fiji, Japan, Korea, Papua New Guinea, Saudi Arabia, and USA. The groups provided very sound recommendations which are hoped to contribute to the development and collaboration between Colombo Plan member states. The 45th CCM will be held in Fiji in year 2016.